Global pessimism is expected to be reflected in Wednesday trading as investors are becoming less tolerant to risk. This is going to “infect” Russian floors as well. “Protracted growth that the markets have been recently demonstrating made investors very sensitive to risk. Any negative is now taken much more sharply,” Vyacheslav Novozhilov, an analyst at Investacafe, said. Currently Russian investors are mostly responding to international news, where China’s is becoming increasingly worrisome. Another alarm bell on China came from BHP Billiton – the world's biggest mining company. It said the country's demand for iron ore was slowing, which is also a threat to the steel industry. And rising oil prices, being a cash cow for Russia, are adding concern for other parts of the world. Brent added another 0.14% to reach $124.24/bbl, with WTI going up 0.59% to $106.7/bbl. 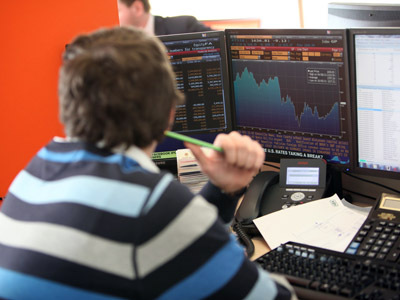 In Europe, Germany’s DAX fell 1.4%, France’s CAC40 lost 1.3% and Britain’s FTSE100 also retreating 1.3%. During the first moments of trading the US stocks have lost, with the Dow Jones down 0.84%, S&P500 falling 0.83% and NASDAQ Composite decreasing by 0.85%. 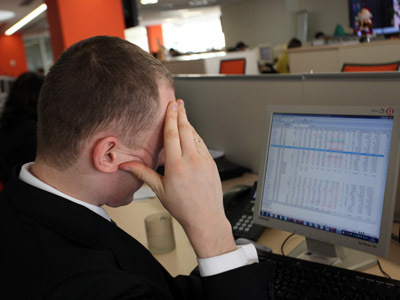 Asian floors have also fallen victim to negative sentiment of their “colleagues,” Kiril Markin of Investcafe said. Hong Kong’s Hang Seng has lost 0.28%, while the Nikkei has shed 0.34%. “So the situation says that negative sentiment from outside factors prevail, which will correspondingly impact the opening of trading in Russia,” Markin said. 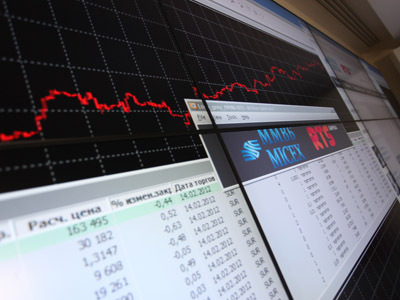 Both the RTS and the MICEX slipped on Tuesday, losing 1.71% to 1, 693.09 and 1.75% to 1, 558.65 respectively. Bank Vozrozhdenie (+2.1%), one of the biggest power generators RusHydro (+2%), Russian automobile company Sollers (1.3%) and energy company Elel OGK-5 (+1.3%) were the market leaders in Russia. Sadly, the downturn move was sharper, with MRSK electricity holding losing 6.5% and Kamaz shares slipping by 4%. The major international statistics expected to be released on Wednesday is the US data on housing sales in the country’s secondary market and weekly update of its oil supplies. All of them are to be released closer to the end of today’s trading, with a speech from the US Fed head to be made after Russian floors stop trading, at around 8.45pm Moscow time (16.45 GMT).